Registrar and Admissions Officer Dr. Giovanni T. Macahig presents SU brochures at the Philippine booth of the Hong Kong Education and Careers Expo 2019, Jan. 24. 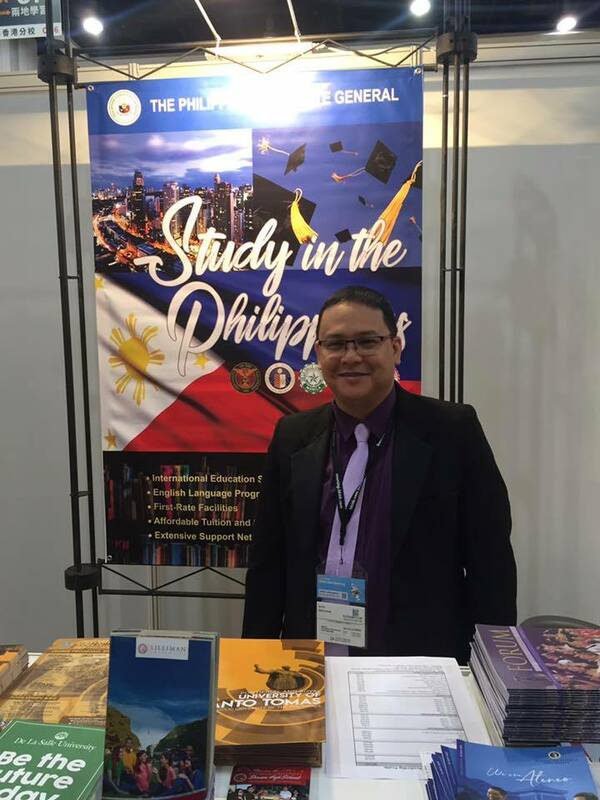 Registrar and Admissions Officer Dr. Giovanni T. Macahig represented Silliman University (SU) at the Hong Kong Education and Careers Expo 2019, which opened Jan. 24 at the Hong Kong Trade and Exhibition Centre. SU is one of the five leading Philippine universities featured at the Philippine Consulate General in Hong Kong’s booth in the expo, along with University of the Philippines, University of Santo Tomas, De La Salle University, and Ateneo de Manila University. 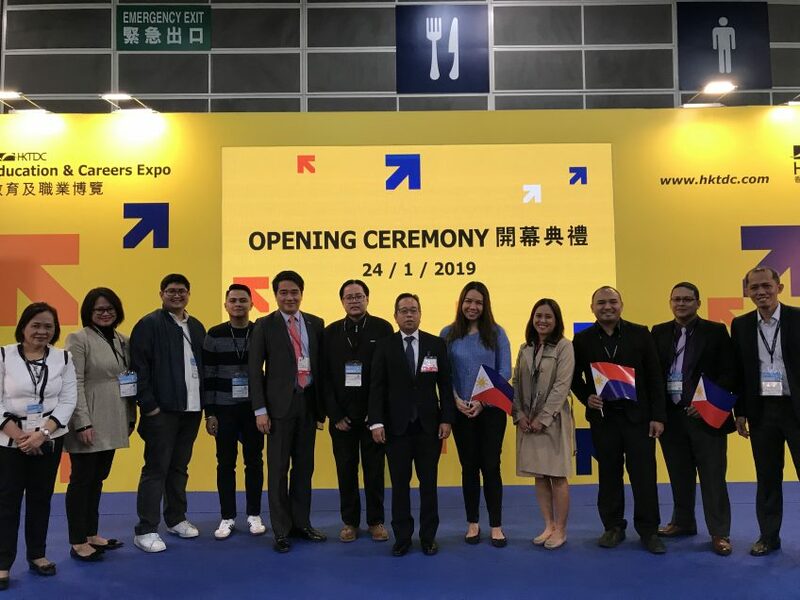 Representatives of leading Philippine universities stand on the stage of the Hong Kong Education and Careers Expo 2019 before their “Studying in the Philippines” talk, Jan. 25. 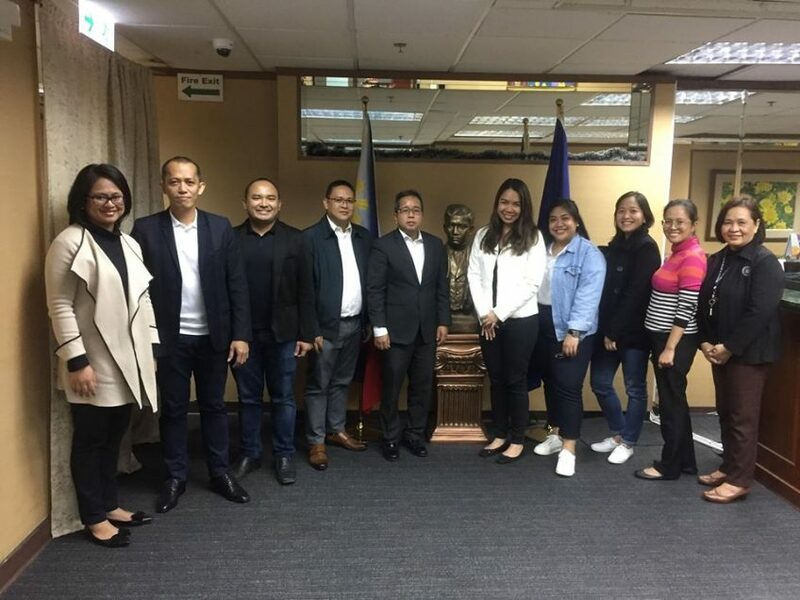 The Philippine Consulate General in Hong Kong organized a talk series on studying in the Philippines, where the five representatives briefed the audience about their respective schools. The collective presentation was part of the Hong Kong Education and Careers Expo 2019, was held at the Hong Kong Trade and Exhibition Centre on Jan. 25. Representatives of leading Philippine universities on a courtesy call meeting with Consul General Antonio A. Morales at the Philippine Consulate General in Hong Kong, Jan. 23. The representatives met with Consul General Antonio A. Morales at the Philippine Consulate General in Hong Kong Jan. 23. They then visited Delia Memorial School Hip Wo Campus Jan. 24 to speak at the school’s first-ever presentations on educational opportunities in the Philippines. The Hong Kong Education and Careers Expo 2019 was organized by the Hong Kong Trade Development Council. 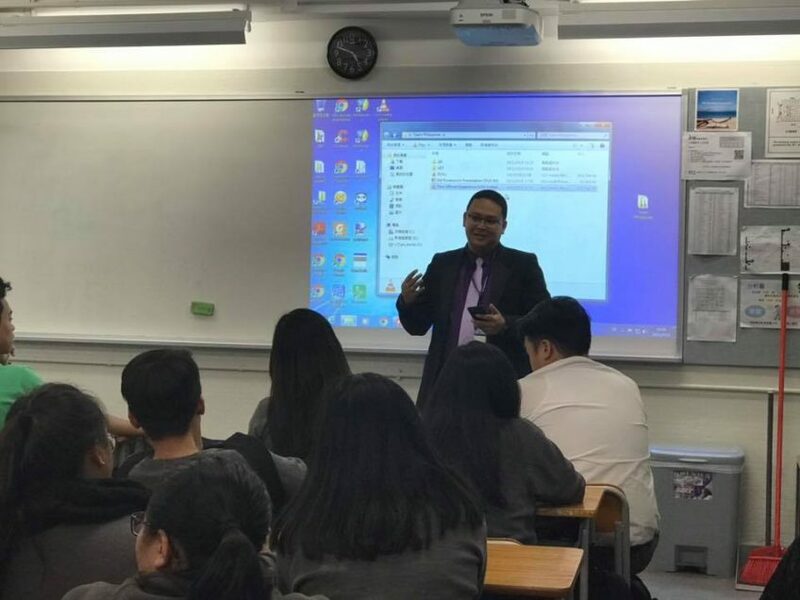 Registrar and Admissions Officer Dr. Giovanni T. Macahig talks about the SU educational experience in the “Studying in the Philippines” talk organized by the Philippine Consulate General in Hong Kong at the Delia Memorial School-Hip Wo Campus, Jan. 24.